The Age of Reason; Being an Investigation of True and Fabulous Theology is a pamphlet, written by a British and American revolutionary Thomas Paine. The Age of Reason challenges institutionalized religion and challenges the legitimacy of the Bible, the central sacred text of Christianity. Published in three parts in 1794, 1795, and 1807, it was a bestseller in the United States, where it caused a short-lived deistic revival. Part 1 was written sometime in 1793, and attacks the concepts of divine revelation and inspiration. He urged his readers to employ reason over revelation. Part 2 was written either during or shortly after his confinement in a French prison in 1794. In Part 2, Paine attacks the reliability of the Bible and points out numerous absurdities and contradictions. Part 3 was written in the United States sometime around 1800 but he delayed publication until 1807 for fears of violent backlash. Part 3 is an examination and rejection of the claims of prophecies concerning Jesus Christ. 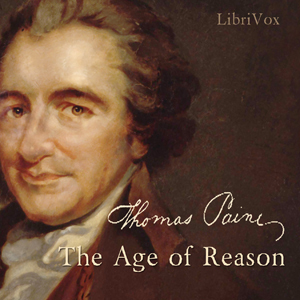 Although these arguments were commonly known amongst the educated elite, Paine wrote in simple and irreverent prose that was easily accessible to a mass audience. Paine argued against religion as it is revealed in the Bible, but he argued just as strongly for a Deistic religion and a Creator of Reason.